Patients who have difficulties accessing the practice, because of the four steps at the front of the building can now use our new Mobile Stair Lift, which improves access for all people with mobility difficulties and wheelchair users. 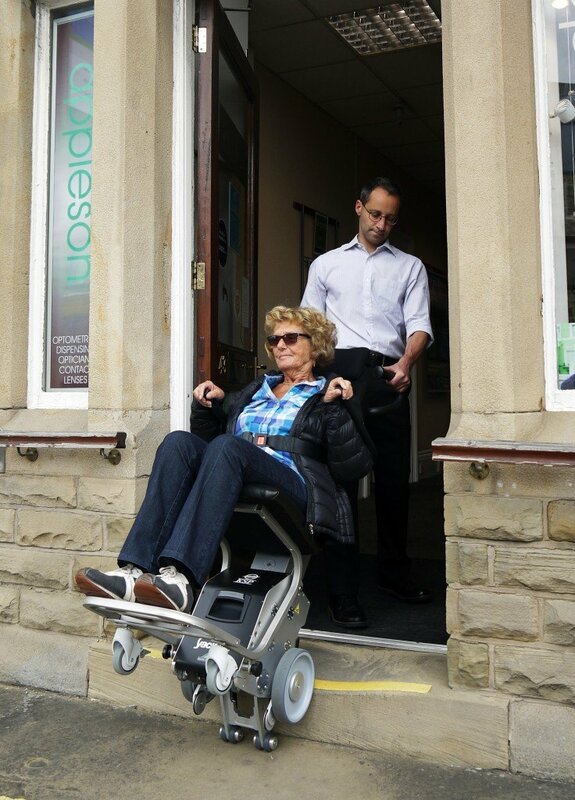 This simple, but amazing device, which is guided by our trained staff, literally climbs the steps effortlessly, with the user seated or using their own wheelchair attached, as demonstrated by Paul assisting a patient into our practice. We have found this innovative solution has improved access for many of our clients, who need this assistance and after numerous applications to fit a ramp were refused, due to the position and age of the building, this has been a welcome solution for us and our patients.